In the next five years, it has been forecasted 10,000 new homes will be developed across the regeneration of the iconic waterfront, creative districts and knowledge sector, reinvigorating the city’s urban landscape. Here, we look at the regeneration projects that Liverpool currently has in development and what it means for property investors looking at Liverpool. 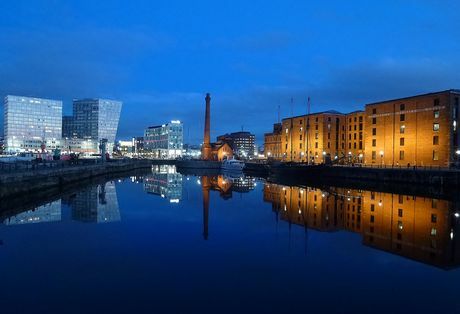 Arguably the jewel in Liverpool’s regeneration projects, Liverpool Waters is a self-proclaimed “Waterfront to the World”, a £5.5bn development creating five new dynamic neighbourhoods, each instilling life into Liverpool’s historic docklands. 12 years into an ambitious 30-year vision to transform the city’s northern docks, Liverpool Waters spans across 60-hecatres creating approximately 2,000,000 sqm of development floorspace. Building on the ten streets regeneration project, which included the development of the Titanic hotel, the five unique neighbourhoods each provide their own piece to Liverpool’s already stunning waterfront, with opportunities for investors in Liverpool Waters property. An existing piece of Liverpool’s waterfront, the Prince’s Docks regeneration project is set to offer high quality residential developments which will shape the Liverpool skyline, as well as premium office space, hotels and a cruise liner terminal. In the heart of Liverpool’s waterfront, Central Dock will cater towards the city’s growing number of professionals, with unique business and entertainment spaces with high-quality residential property investments. With an unrivalled waterfront position, Clarence Docks has a unique role in Liverpool’s regeneration, with distinctive dockland buildings and heritage that will surely shape a vibrant neighbourhood. One of Liverpool Waters most publicised regeneration projects thanks to Everton Football Club moving their new football stadium here, the Bramley Moore Dock development embodies part of the ten streets development, with the ever-popular Titanic hotel sitting on the area’s outskirts. Currently an industrial estate, King Edward Rise is set to be a logistical dream, as an area that will connect and upgrade the transportation system between the formation of the Liverpool Waters new neighbourhood, including connecting the new Liverpool Cruise Liner Terminal and the new Isle of Man Ferry Terminal. The Ropewalks in Liverpool are of historical significance thanks to the part they play in the shipping industry that shaped much of Liverpool’s landscape, but they have recently run the risk of being lost forever. The Georgian properties in the area have fallen into serious disrepair with some in danger of collapsing completely, but now big renovation projects have been put into place which has already been seen to encourage plenty of private sector investment. The sections which have already been improved have been lifted into being some of the most sought-after areas in the country, and it is hoped that continued development of the remaining Ropewalks area will have a similar effect on the so far untouched streets. Kings Waterfront forms part of the Kings Dock, which sits adjacent to the famous Albert Dock. As is evident from the name, Kings Waterfront overlooks the water and will combine leisure, retail and commercial interests. As a new riverside destination it is likely to play a large part of both the visitor economy and employment outlook. Over £550 million has been invested in this World Heritage listed site to boost its prospects and draw new business to the area. The Baltic Triangle forms part of Liverpool city centre which has its roots in the industrial history of the city. The Baltic North is situated between Kings Waterfront and the Liverpool ONE shopping district, making it ideally placed to attract businesses and visitors alike. It has also seen significant investment with yet more development in prime areas still to come. The Knowledge Quarter Gateway is found between Mount Pleasant and Lime Street Station and unsurprisingly it is so called as it is a hub for education and research. The new investment it is receiving aims to combine technology and education in one area. It is set to become one of the more vibrant parts of Liverpool that boasts a new green environment in the middle of the city. Within the Knowledge Quarter is Lime Street, the first part of the city seen by those leaving Lime Street Station and an area that has been in clear need of improvement. A new development scheme will create a number of leisure and hotel facilities as well as a residential student block which is likely to be in high demand with such a vast student population in the city. When you say the word Anfield to anyone from Liverpool, a strong footballing legacy usually comes to mind, and it is the might of Liverpool Football Club joining forces with Liverpool City Council and Your Housing Group that is set to transform the area. This includes refurbishing the existing housing and creating new developments as well as improved services and facilities in the area. A new public square will also be created to play host to commercial and retail spaces, as well as new shopping venues on the High Street. This will coincide with the expansion of Liverpool’s Anfield stadium and the jobs that come with it, and is set to be of huge benefit to those living in a seriously neglected area. The open spaces that will be created for outdoor events will transform the public spaces to become more welcoming and attractive. Project Jennifer is a regeneration scheme in Liverpool’s Great Homer Street, a £150 million development that will bring new homes, shops and public spaces to Liverpool’s northern city centre. Project Jennifer will span 45 acres of North Liverpool and could bring as many as 1,000 further jobs to the city, as well as a new retail area, centred around a Sainsbury’s supermarket and an 80,000 sq ft District Centre, including B&M Bargains. With over 100 homes have already been built Project Jennifer is intended to breathe new life into a community that has been keen to be a part of the regeneration spreading across Liverpool, bringing new jobs, new investors and a boost to the economy. Liverpool has been crying out for these levels of regeneration, and this type of development means it is sure to attract more businesses, facilities and jobs. With such a draw to the area, property investment is ripe, as prices still fall way below the typical London averages, but growth in this area means that buying now is likely to pay dividends further down the line.